Managing investment portfolios, built around investors' aims, risk profiles and investment style. Cambridge Investments Limited (“Cambridge”) is a discretionary Portfolio manager currently managing client funds of over £800m exclusively for the clients of the Perspective Financial Group. Cambridge Investments Limited has been managing client assets since 1971 and has been proudly part of the Perspective Financial Group since 2008. Cambridge provides a portfolio management service that compliments the financial advice provided by the team of financial advisers within the Perspective Financial Group. We have a team of expert, experienced portfolio managers and investment specialists complemented by experts from our strategic partner, Tatton Investment Management Ltd. Cambridge provides a range of tailored investment management services that combine your investments into one low cost, fully diversified, risk-rated investment portfolio. So, whether you’re seeking long term growth, regular income, or ethical investments, your portfolio will feature a blend of funds, working together to help achieve your investment goals. The investment solutions provided by Cambridge are accessed via your local financial adviser at Perspective Financial Group. To find you local Perspective financial adviser, please click here. Brooke Court, Wilmslow, Cheshire, SK9 3ND. Cambridge Investments Limited is a subsidiary of Perspective Financial Group Limited. 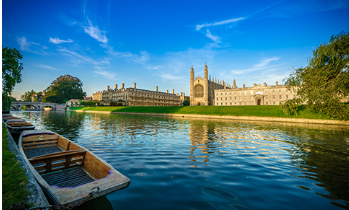 Cambridge Investments Limited is authorised and regulated by the Financial Conduct Authority.